For those in harmony with the new energies this is a time of emergence into a new world. It is spring in the northern hemisphere and the leafing season where new life bursts forth according to nature. In our own lives we can see the tender shoots of our new life breaking through the soil for the first time. This past month has been a difficult one because the energy needed to find new pathways and the old pathways no longer existed. This internal pressure reached a crisis point on yesterday’s full moon, April 22. What does this mean? What did I just say? Properly balanced and harmonious astral events have just entered the “printing que” of physical manifestation. Once they have entered this “printing que” they can’t be tampered with or altered in any way except to perhaps be augmented and speeded up by the self destruction of opposing forces. They can be speeded up but they can’t be stopped! Generally the time differential for physical manifestation is less than 3 months so we are looking at major things happening on a global scale during the next three months as these new energies collectively “emerge” in a physical and public way! My dreams and visions have been very active at the 4th density levels. I have personally witnessed how those seeking to retain power over humanity have been swept aside at the last minute by this new current. They have reached for the goal and it was withheld from them and given to others that had truly earned the right to such empowerment. 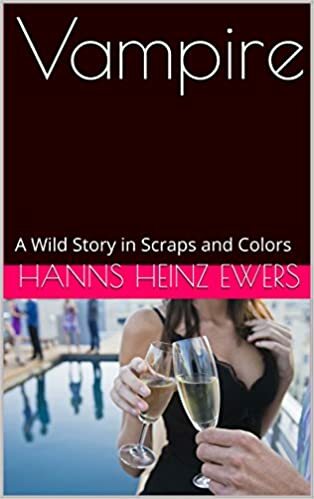 In my personal life “Emergence” has manifested with the publication of two books: “Vampire” by Hanns Heinz Ewers which is a translation I’ve been working on for over five years now; and “Radical Satansim: The Tantric Path of Divine Counterparts”. What makes this emergence important is that the publication of “Vampire” propels me solidly into professional life as a translator of German literature. It is the third volume of a trilogy and been eagerly awaited for several years now. 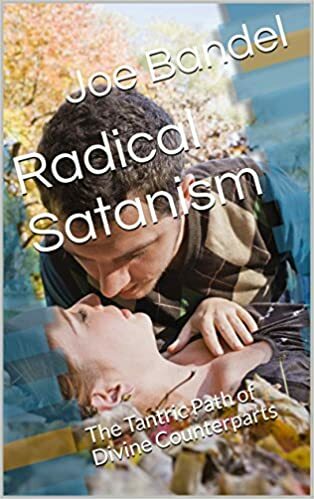 “Radical Satanism: The Tantric Path of Divine Counterparts” completes my “emergence” by publicly baring my soul to the public in a very vulnerable way. It is a sharing of my soul’s journey and my experiences, things I have never felt secure enough to share before. Please understand that I share this as an example of the “emergence” process that many will now be going through. “Emergence” means exactly that! Around the world new leaders are beginning to step forward and letting their voices be heard for the first time. They will have the support of the universe behind them. What we are actually seeing is the emergence of a new spiritual hierarchy that will guide humanity through this new cycle. There are lots of us in the same boat feeling that something massive is about to happen that will shift things in new ways. Like you say, the feeling is that a new path will open up once the changes manifest, but not until then. In the meantime lots of us are impatient. Thank you Joe for letting me know I am not alone feeling this way. Today I’m going to bag a few things up, that way I can just grab them and go when time comes. I just have this feeling of “Be Ready so I don’t have to Get Ready” type feeling. It all may be a bit premature but I can’t shake this feeling of movement around me. When a place where you’ve been eating and sleeping for awhile all starts to feel more and more strange and distant to you by the day, something must be up.